Childhood obesity is growing at an alarming rate. Overweight and obese children are at a great risk of developing serious physical and mental health problems in the future. This article details on the link between obesity and mental health. 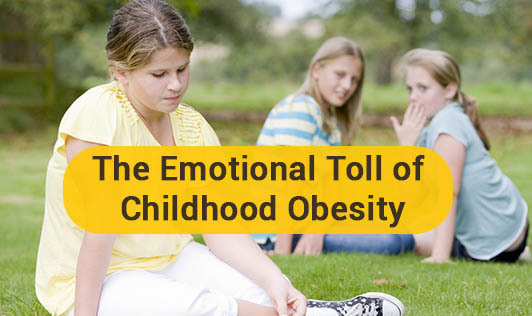 It's been proved by experts and several studies that obese children are at an increased risk of emotional problems that last well into adulthood. It is important for parents to understand the risks and problems of obese children. Here a few suggestions that can help you help your child. Help your child understand that being overweight can affect physical and mental health and is more than an appearance issue. Talk to your child about why he/she overeats and how he/she feels about it. Identify feelings and situations that trigger the habit. Set an example for your kid by making healthy eating and exercise a family affair. Praise your child's strengths and accomplishments. Limit sedentary activities and access to high-calorie, fatty, and sugary foods. Do not use food to reward or punish children. Establish a system to reward weight goals and help your child get back on track when he/she falls off. Diagnosing and treating obesity early on in children may reduce their risk of developing serious health problems when they get older. Irrespective of what your child's weight is, it's important for you to let him or her know that you love him/her and that all you want to do is help him/her be healthy and happy!